Rare 400-year-old civil war pistol discovered on a beach. Right: Mr. Tony Collins. Left: Mr. Neil Maher. 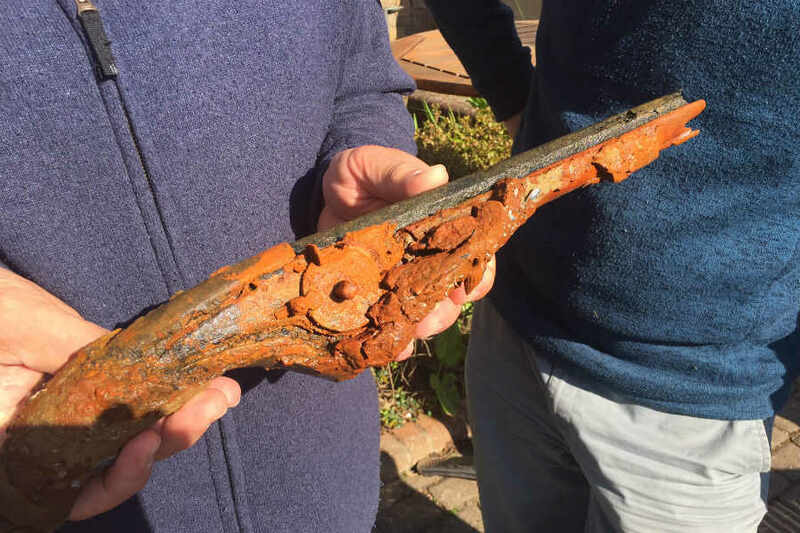 Mr. Tony Collins found a rare officer’s pistol dating from the civil war era in St Aubin's Bay, Jersey while metal detecting on the beach. The item was declared an important find by Mr. Neil Mahrer, the conservator at Jersey Heritage. 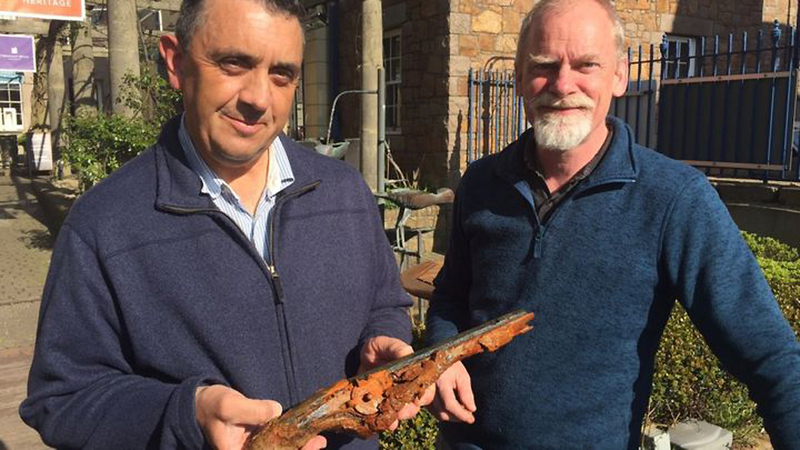 Mr. Mahrer said that there has been a lot of weapons found from later periods and this one is a unique find because it is the only one he has seen to date from the 17th century and also in remarkably good condition with the metal still intact. During that era, this specific weapon was very expensive and complicated to make due to its special clockwork mechanism. The black sand at the beach in St.Aubin’s Bay is low in oxygen content, hence the well-preserved condition of the materials. The likely reason the weapon ended up buried under sand on the beach is that it was dropped by an officer while boarding a ship and later washed up on the shore. The pistol is expected to go on display following X-Rays and delicate conservation which involves carefully separating the metal parts from the wood. Following a drying process, it will be rebuilt.